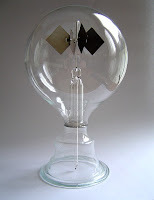 I bought a radiometer from Science City. It cost $14 plus taxes. Cool store, located in the Holt Renfrew Centre, subway level , near Yonge & Bloor. They have some astronomy items. They also appear to sell telescopes.